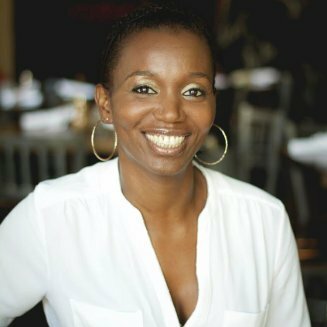 April Reign, who spearheaded the #OscarsSoWhite hashtag, will be live-tweeting “The Wood” with some of her 22,000 Twitter followers during the telecast of the 88th Academy Awards tonight. As part of a nationwide series of protests and “tune-outs,” the Rev. Al Sharpton plans to lead a rally outside the Dolby Theatre in Los Angeles. Actors Jada Pinkett Smith and husband Will, filmmaker Spike Lee and wife Tonya Lewis Lee, a producer, lawyer and author, won’t be inside to see the Oscars awarded. Neither will “Selma” director Ava DuVernay and “Creed” director Ryan Coogler, who will instead participate in a benefit concert for victims of the water crisis in Flint, Mich., that’s being live-streamed on Revolt.TV this evening. The filmmakers, snubbed by the Oscars in 2015 and 2016, respectively, will be using a different hashtag, #JusticeForFlint, through Blackout for Human Rights, a collective of high-profile activists that Coogler founded. A number of actors, filmmakers and supporters decided to boycott the Academy Awards, or at least occupy their time with an array of other things, after learning in mid-January that the vast majority of Oscar nominees were white for the second year in a row — 95.3 percent white to be exact. Not one person of color had been nominated for the four main acting categories, writer or cinematographer. The directing nominations included Mexican filmmaker Alejandro Gonzalez Iñárritu for “The Revenant,” but no women. Within 24 hours of the announcement, Reign’s #OscarsSoWhite hashtag had become both a trending topic and an international news headline as celebrities, filmmakers and others turned to social media outlets to voice their concerns. But is a boycott the best way to demonstrate this power? A number of people are raising this question, including Angela Bassett, a Best Actress contender for “What’s Love Got to Do With It?” in 1994; producer, director and editor Sam Pollard, nominated with frequent collaborator Spike Lee in the Best Documentary category for “4 Little Girls” in 1998; and Russell Williams II, the first African American to win more than one Oscar with two back-to-back awards in sound excellence for “Glory” in 1989 and Dances With Wolves” in 1990. 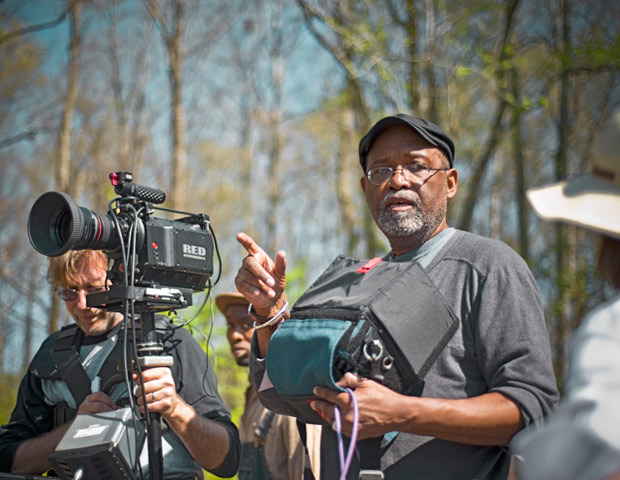 Gil Robertson IV, founder and president of the African American Film Critics Association, suggests that minorities should use the awards show as a platform to convey their message to the millions of viewers of the Oscars, instead of boycotting. The #OscarsSoWhite hashtag is a jump-off-point for larger issues plaguing the industry and America, says Montré Missouri, Ph.D., a film professor at Howard University. The #OscarsSoWhite hashtag is a jump-off-point for larger issues of racial, ethnic and gender identity that plague the film industry and America in general, says Montré Aza Missouri, Ph.D., an associate professor in the MFA Program in Film at Howard University. Missouri said the dialogue that #OscarsSoWhite brings about is essential, because the people behind the camera are the ones responsible for the power of film images. “Film images are very powerful in terms of informing our culture, our individual communities and our personal identities,” she explained. The sweeping wrath of underrepresented groups and supporters alike over the lack of diversity in Hollywood, among Oscar nominees and within the Academy of Motion Picture Arts and Sciences has captured the attention of the academy’s leadership. Although the academy does not disclose demographic information about its ranks, a 2012 study by the Los Angeles Times found the academy to be 94 percent Caucasian and 77 percent male, with a median age of 62. At the time, African Americans accounted for only 2 percent or 115 of the 5,765 members. Two-time Oscar winner Denzel Washington suggested then that academy membership should mirror the country’s demographics. Today that would mean that 892 of the academy’s membership of 6,261 should be African Americans, reflecting 13 percent of the nation’s population. Based on a five-year analysis by TruthBeTold.news, academy membership is far from hitting this benchmark, inching up to just 2.5 percent from 2012. In other words, only about 160 members are black. Russell Williams says he recognizes about three other African Americans and five Latinos among the 400-plus members of the sound branch, one of the largest among the academy’s 17 divisions. Sam Pollard says the documentary branch has about 28 minorities among its 300 members. Only members of one of the 17 branches can nominate for their category, Williams explained. All members can, however, vote for the Best Picture category. Once the nominees are selected, all members can vote for all categories. 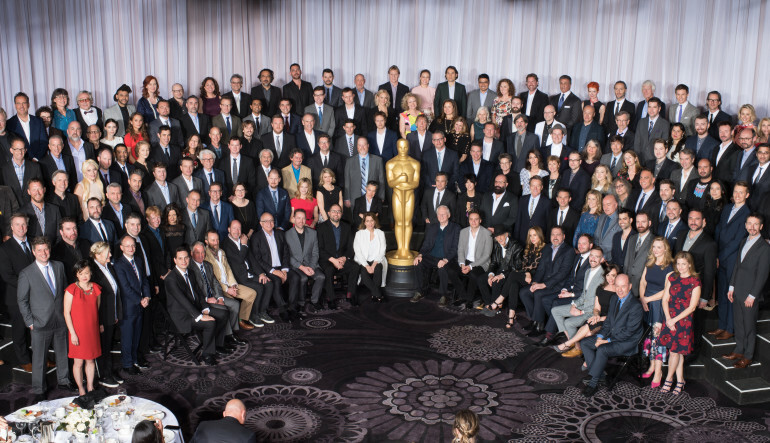 New members invited to join the academy in the last five years (depicted below), include Pollard, actress Lupita Nyong’o, director F. Gary Gray, casting director Robi Reed and filmmaker Raoul Peck. Orlando Bagwell. “Social justice” filmmaker; journalism professor, University of California, Berkeley. Lorrie Bartlett. Partner/co-head. ICM Partners talent department. Mellody Hobson. Chair of the Board of Directors of Dreamworks Animation. The Academy is a microcosm of Hollywood and the larger issues cited by Missouri, Reign and others. The Oscars are so white, partly because Hollywood is so white — and male in both cases. “You have to look back at when the movie business started,” Russell Williams says. We were still in the Jim Crow era of U.S. history, so there were a lot of businesses that were legally segregated. Just by policy, you couldn’t get in if you had a ‘permanent tan’ if you wanted to get into the union to work behind the camera,” said Williams, referring to the International Alliance of Theatrical Stage Employees (IATSE). The Hollywood system is at the heart of the diversity issue, says Oscar-nominated producer, director and editor Sam Pollard. Sam Pollard says that the diversity problem is about the Hollywood system. At the heart of the issue is the lack of diversity at the major studios, which dictate what films get made, what subject matter is included in the films and who makes them. Pollard refers to the studios as the core of power. Two-thirds of film executives, including heads of studios and film groups, are men, according to “Inclusion or Invisibility? Comprehensive Annenberg Report on Diversity in Entertainment,” a new study from the University of Southern California. The study also found that the percentage of characters from underrepresented racial and ethnic groups increases by 17.5 percent when an underrepresented director is at the helm of a film or scripted episode. Throughout the 88 years of the Academy Awards, only four women have been nominated for the Best Director category. None of the four nominees have been women directors of color. The first woman, Lina Wertmuller, was nominated in the 1976 film “Seven Beauties,” and of the four nominations only one woman, Kathryn Bigelow, has actually won the award. Although Missouri and others don’t consider the Academy Award as the utmost achievement and some members of the film community don’t strive for an Oscar nomination, they recognize that an Oscar can help to level the playing field and make a substantial impact economically and professionally. An Oscar can move an actor to the A-list or help a filmmaker with marketing and finding investors. 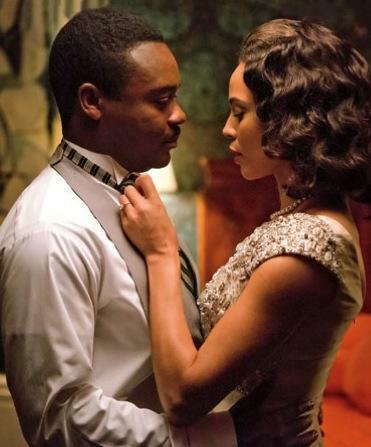 Missouri mentions the omission of the Martin Luther King Jr. biopic “Selma” from several Oscar categories in 2015 as a prime example of the academy’s diversity crisis. The film ended up being nominated for Best Picture and Best Original Song, which it won, but many were disappointed that DuVernay was not nominated for Best Director and that David Oyelowo wasn’t part of the Best Actor pool. 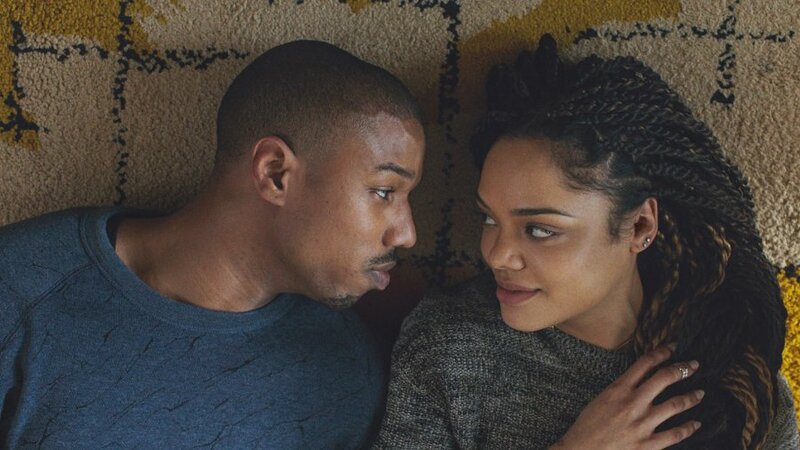 This year’s disappointments include the lack of nominations for Will Smith’s starring role in “Concussion” and Ryan Coogler as director of “Creed” along with his leading actor, Michael B. Jordan. However, Sylvester Stallone was nominated as Best Supporting Actor in the update of the “Rocky” boxing films. Hattie McDaniel was the first African American to win an Oscar Award in 1940, for her Mammy portrayal in “Gone With the Wind.” During the academy’s 12th Annual Awards show, she was not allowed to sit at the table with the rest of the movie’s cast and team members, but was instead placed at a table to the side due to the hotel’s no blacks-allowed policy, according to the Hollywood Reporter. April Reign was in her family room watching the announcements of the Oscar Award nominees last January. To her dismay, the nominees were, once again, not as colorful as she had hoped. She turned to Twitter to vent her frustration with the Academy using the hashtag #OscarsSoWhite. She had originally used the hashtag for humor, saying “#OscarsSoWhite they asked to touch my hair.” The hashtag took a more serious tone following the unveiling of the 2015 nominees. Others who shared her sentiments helped to make the hashtag go viral. If the Oscars don’t represent diverse audiences, the telecast doesn’t deserve their ratings and attention, Reign said yesterday during a Black Twitter conference, sponsored by the National Association of Black Journalists at Columbia University. What remains to be seen is the impact of the calls for a boycott on the public as well as diversity in tonight’s program. 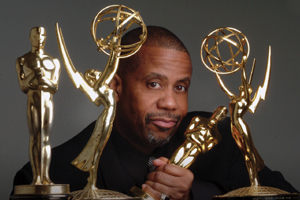 While African Americans won’t be on the receiving end at the Oscars, they will be involved as presenters, performers and producers, in the case of Reginald Hudlin. Presenters and performers include Common, Morgan Freeman, Whoopi Goldberg, Louis Gossett Jr., Kevin Hart, Quincy Jones, Kerry Washington, The Weekend and Pharell Williams, with Chris Rock as host. Viewership typically drops below 40 million when African Americans don’t watch the Oscars, says Cheryl Pearson-McNeil, Nielsen’s senior vice president of U.S. Strategic Community Alliances and Consumer Engagement. When Chris Rock hosted the Oscars 11 years ago in 2005, 42 million viewers watched, including 12 million African Americans. It was the highest black viewership ever, at 27.82 percent. In 2014, black viewership was 19.41 percent, thanks to multiple black nominees, which resulted in wins for “12 Years a Slave,” directed by Steve McQueen, as Best Picture with Lupita Nyong’o as Best Supporting Actress. The following year, when all nominees in the main acting categories were white, which is also the case in 2016, black viewership fell to 15.7 percent. This power of black viewership also translates to the box office. The average number of movie ticket purchases by African-Americans is about 19 percent higher than for non-Hispanic whites, or 3.7 tickets versus 3.1 annually, Nielsen reports. “In 2014, blacks, Latinos and Asian Americans combined made up 46 percent of the U.S. movie ticket purchases,” according to Pearson-McNeil. To put things into perspective, “Selma” grossed more than $52 million, won 84 various award nominations and won 56 of the nominations overall, raking in a profit of $32 million, according to IMDb. This is in contrast to “The Theory of Everything,” where Eddie Redmayne won the Oscar for Best Actor. The film earned 114 nominations in various award programs, won 24 of the nominations and grossed more than $35 million with a profit of $20 million. “Birdman,” which stole the show at the 2015 Oscars brought home four of the nine awards for which it was nominated, including Best Director, Best Writer, Best Cinematographer and Best Picture. The movie had 250 other award nominations and won 176 awards overall. It grossed about $42 million with an estimated budget of $22 million to create the film, bringing the total profit to roughly $20 million. Those who oppose the #OscarsSoWhite backlash argue that the Oscar boycott is reverse racism, while others are somewhat dismissive of the lack of inclusion of marginalized groups. Following a discussion about diversity at the Sundance Film Festival, two-time nominated French-American actress Julie Delpy drew fire for her comments for the second year in a row. Attempting to draw attention to the challenges women face in the industry, she said it’s hardest to be a woman in Hollywood — above every other group. After facing the music from the offended, she quickly released a statement to Entertainment Weekly apologizing for her comments. A 2014 study by the University of Southern California on diversity in media, however, debunked her statements about women being the most disadvantaged. Opportunities for Hispanics come low on the totem pole, too. Of the 26.9 percent of underrepresented characters, Hispanics account for only 4.9 percent; while Asians were only represented in 5.3 percent of the top 100 films in 2014. It’s true that women are disadvantaged when it comes to casting, but minority and elder women face even more of a disadvantage. Within the top 100 films of 2014, only 21 women had lead or co-lead roles, and of them there were only three women of color, and none were elder women. Of the Oscars’ two main acting categories for women, all of the nominees have been white for the past two years. First-time Oscar nominee Charlotte Rampling, 69, called the Oscar controversy “racism against whites,” during a radio interview. “We can never know whether it’s truly the case, but maybe the black actors didn’t deserve to make it to the final list. … There is always someone who will tell you you’re “too” something. (“Him, he’s too black, Him, he’s too white”) so why should the academy introduce measures that would classify people just for the sake of having “lots of minorities everywhere?” Rampling said. One of the most controversial comments came from African-American actress and Fox News contributor Stacey Dash. She chimed in on the issue during an interview with “Fox and Friends,” calling the matter ludicrous. She continued stating that it is a double standard. “If we don’t want segregation, then we need to get rid of channels like BET, and the BET Awards, and the Image Awards where you’re only awarded if you’re black,” Dash said. These awards ceremonies, however, were created for African Americans and people of color who were not being recognized at the time, which is parallel to the controversy at hand today. The NAACP Image Awards for example, was created in 1967 during the Civil Rights Movement to combat segregation. Their purpose was to recognize and celebrate the outstanding achievements and performances of people of color in the arts, as well as those individuals or groups who promote social justice through their creative endeavors,” according to the organization’s website. With Hollywood’s lack of diversity and recognition for marginalized groups, some people say that doing away with award shows like the NAACP Image Awards and the BET Awards would leave many people completely left out. That’s just one of many reasons why they want to see changes at the Oscars and especially in Hollywood. Miesha Miller is a reporter for TruthBeTold.news and a junior majoring in broadcast journalism at Howard University. 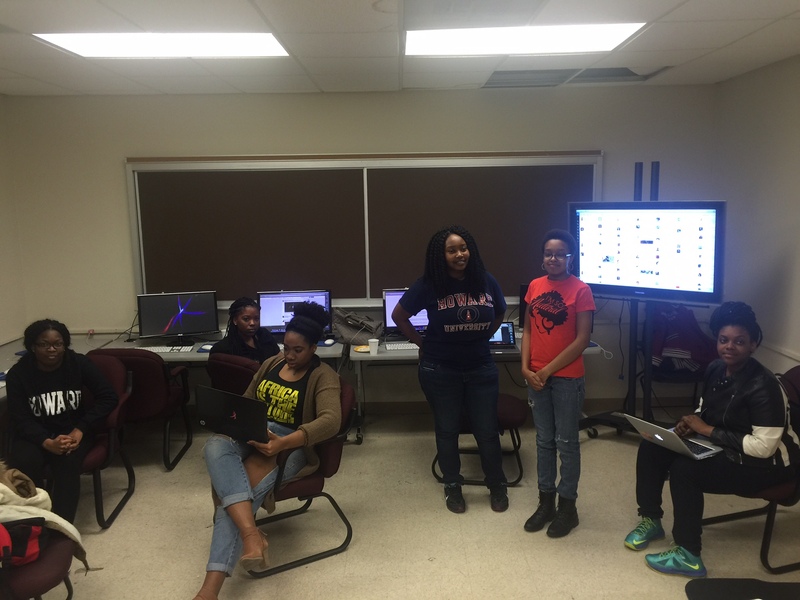 Maya Cade created the interactive timeline and tiled mosaic of new academy members. She is editor of TruthBeTold.news and a senior in print/online journalism. Researchers for the analysis of academy membership over the last five years from Professor Ingrid Sturgis’ Digital Media Literacy course included Christina Burke, Nitya Gittens, Loren Harvey, Daja Henry, Thao Hoang, Ray Jones, Allyson Majors, Ayanna Marshall, Victoria Mba-Jones, Shawna Mizelle, Amber Swain, Gianni Thompson, Alethia Tilford, Shai Vaz, Chad Vines and Naya Whitehall. The Oscar night social media team included students from Dr. Fredric Kendrick’s Multimedia Storytelling and Public Affairs Reporting courses: LaDaesha Smith, Jai Rodgers, Tamara Thorpe, Brookie Madison, Victoria Jones, Miesha Miller (not pictured: Maya Cade, Xavier Handy Hamilton, Jazmin Goodwin). mieshamiller Miesha Miller is a reporter for TruthBeTold.news and a junior majoring in broadcast journalism at Howard University.